It’s been 3 years of working on new material. Very excited to share soon. 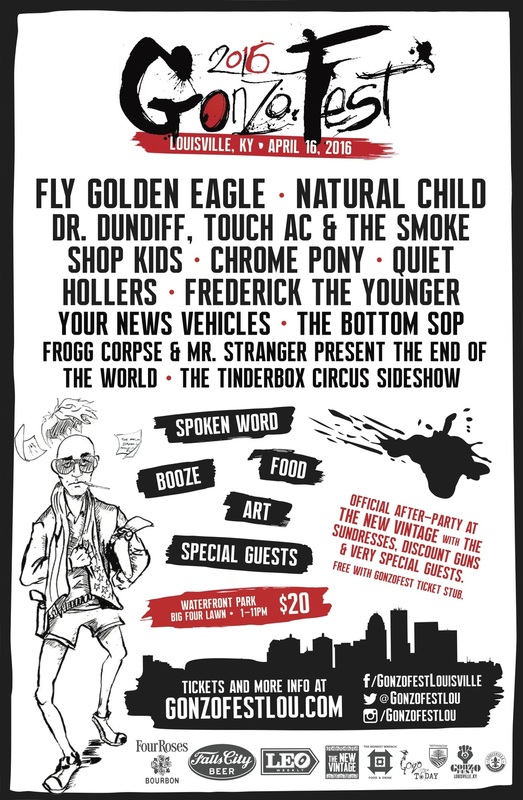 Looking forward to playing GonzoFest on April 16, 2016 in Louisville KY with many of our friends. See you soon Louisville! Back on the road & new video! Our new video for "Tangible Intangible" is here!! Thanks to Brooklyn Vegan for premiering it today. The entire video was directed and shot by Ben on his iPhone, hope you like it! ALSO, we are happy to be back on the road and will be touring the entire month of July! You can see all dates HERE. Hope to see you out on the road! We are excited to be part of this years Forecastle Mixtape, and even more excited to be playing the Forecastle Festival in July! Proceeds go to benefit the Forecastle Foundation. Check out the mixtape featuring many of the bands playing this years festival and get pumped up with us! Our World Cafe session aired today on NPR stations across the US. Listen here. Our new live video for Stepping Stone premiered today on NPR All Songs Considered. Our new album Quartz & Quartz Bijou come out next week! Stream Quartz Bijou this week thanks to Pandora & American Songwriter...hope you enjoy! Tour with J Roddy Walston & the Business has begun! Athens GA tonight! Free download of 'Stepping Stone' thanks to WXPN! Thanks to Wondering Sound for premiering the first video from Quartz! All credits go to Josh Shoemaker, Drew Maynard, Jeff Gentner, Ashley Boyd Jones, Jeff Salter and Schuyler Howie. After 3 years of dedication and good work, Fly Golden Eagle is proud to announce the presentation of our album Quartz. The album itself is 26 tracks - nearly 2 hours long - and was recorded in Tennessee and Texas and was a Herculean effort by a number of beautiful people. The album, latent with ancient and future notions, will be released by ATO Records (USA) and Dine Alone Records (Canada). We are gracious for their help and determination to aid us in our creation. Quartz will be physically presented in most forms imaginable and in an abbreviated format known now as Quartz bijou. In the internet where we all connect and triumph and worry, all 26 tracks will be available for all to hear. Like its namesake, Quartz takes time and patience - increasingly rare and taxed commodities nowadays, we know - but we hope the album will be enjoyed, take you on a great journey, and can satiate your auditory devices for a long time. Lots more news to come shortly including details on the release of our new album this fall! In the meantime check out our tour dates page...hope to see you on the road this fall!